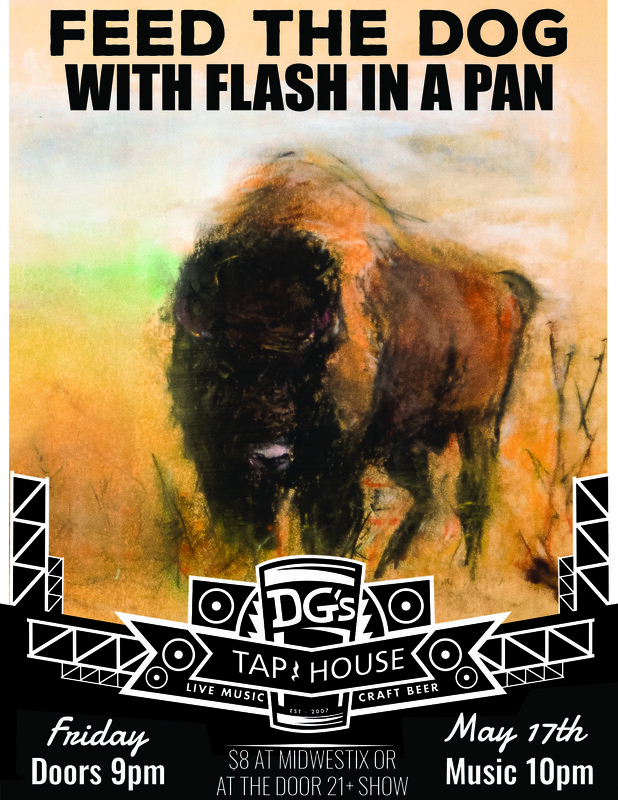 Feed The Dog w/ Flash In A Pan at DG's Tap House on Friday May 17th 2019! Feed the Dog is an eclectic and action-packed, high-energy, jam-rock-grass band. The Appleton based group features masterfully crafted fiddle, Kottke like finger pickin' acoustic six and twelve string guitar, funky bass lines, and percussive soul. 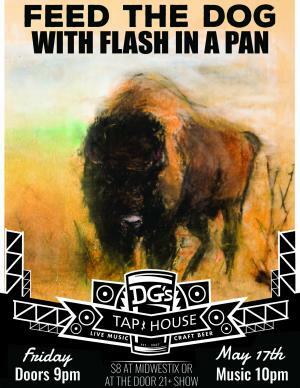 Flash in a Pan is folk and grass stringband from Iowa City, IA. Founded in 2012, the band was named on the assumption that they would play two shows and dissolve. After many line-up changes the band is still playing with no end in sight. In their 5 years, they have played with big names in bluegrass including Yonder Mountain, Green Sky Bluegrass, Jeff Austin, and The Travellin’ McCourys, as well as up-and-coming artists like The Lil Smokies, Horseshoes and Hand Grenades, and Old Salt Union. Not out of place at large music festivals, you might catch this band anywhere from street corners or weddings to barn parties or red carpet events. The current line-up, comprised of Blake Daly, Alex Flesher, Max Lipnick, and Loxley Eckles released their first studio album Off The Rails in April of 2017 and their sophomore album Folklore in June of 2018. Both albums were recorded at Flat Black Studios by engineer Luke Tweedy. Flash in a Pan brings a fun mix of folk music of many shades. Noted for their shining harmonies, provocative compositions, and heart-felt performances, Flash in a Pan dishes out a sound that is all at once familiar and refreshingly different.